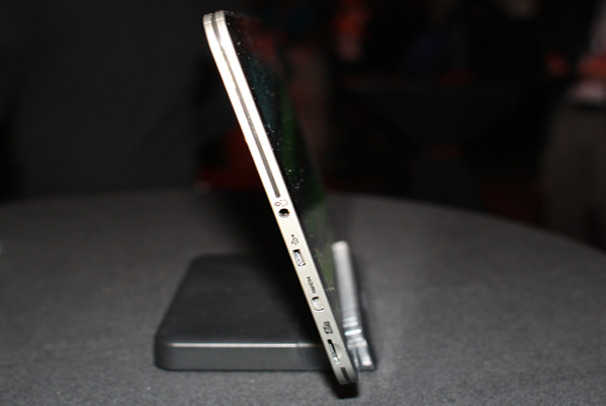 Join our walk-through of Toshiba's impressively designed slate. 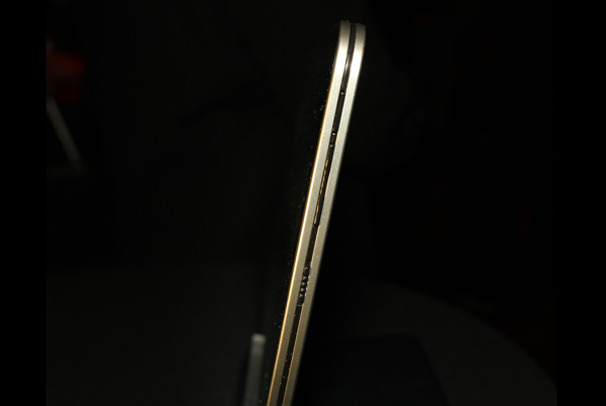 Toshiba's new Excite X10, on display at the company's private event at CES, is being billed as the world's thinnest and lightest 10.1-inch tablet at just 1.18 pounds, and 0.3-inches thin. 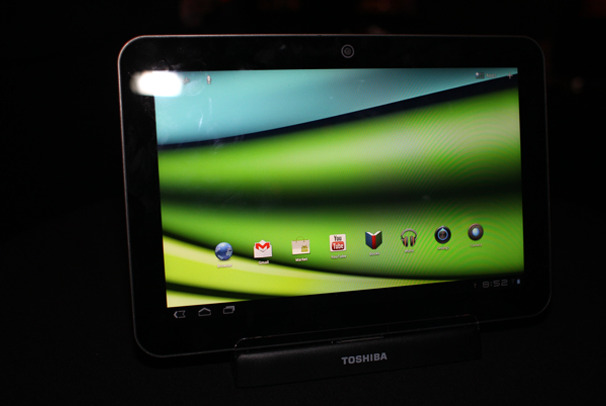 Toshiba last showed off this tablet in Tokyo last fall, at the CEATEC trade show; there, it was called the Regza. 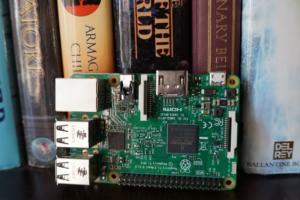 For its U.S. debut, the physical characteristics remain the same, at least, including its Texas Instruments 1.2-GHz OMAP 4430 multicore processor, 1GB of memory, and 1280 by 800 resolution IPS display. The display looked good, with a minimal air-gap and a wide viewing angle; but text and graphics weren't as sharp as on the Acer Iconia Tab A700, which has higher resolution. Battery performance is not final, but Toshiba says it expects 8 hours of continual video playback. Let's take a closer look. Along the top right side of the tablet (in landscape mode) sits the power button, volume rocker, and rotation lock switch. 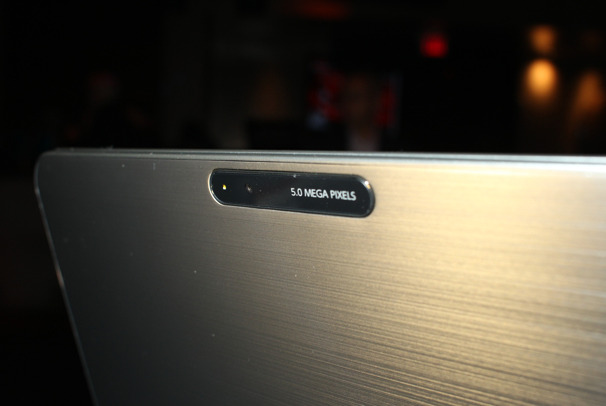 The buttons fit into the tight, narrow space where Toshiba has a black accent running the perimeter of the tablet. I wasn't much of a fan of the accent design (which leaves a groove in the center of the edge surfaces). Buttons were thin and fairly harsh on my fingertips when I went to press them. Harsher still was the ridged rotation lock button, which was so stiff and narrow to move that I had to use my fingernail tip hooked into the ridges so I could gets some leverage to move it from locked to unlocked. The back chassis of the Excite X10 show off two things. One, that Toshiba has upped the ante with its built-in camera: 5-megapixels, with a flash. (Not pictured: The front-facing 2-megapixel camera.) Two: That the Excite X10 has a clear, simple design aesthetic - aforementioned accent groove notwithstanding. 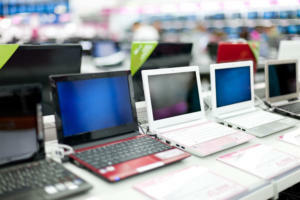 The Excite's case is made of magnesium, a material Toshiba has gotten lots of practice manufacturing with its laptop computers. 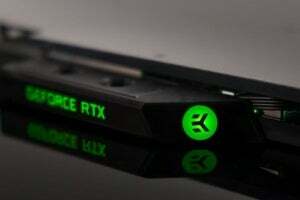 Along the bottom edge (not pictured) is a docking connector. 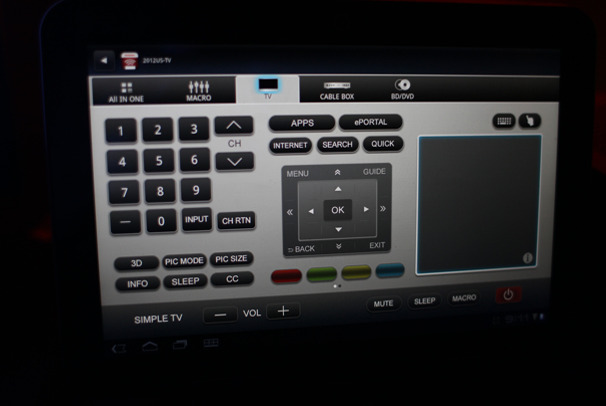 Toshiba showed off the Excite X10 with Android 3.0 Honeycomb installed, as you can see from the settings panel. Custom features like the SRS audio built-in can be accessed directly via settings, at least. 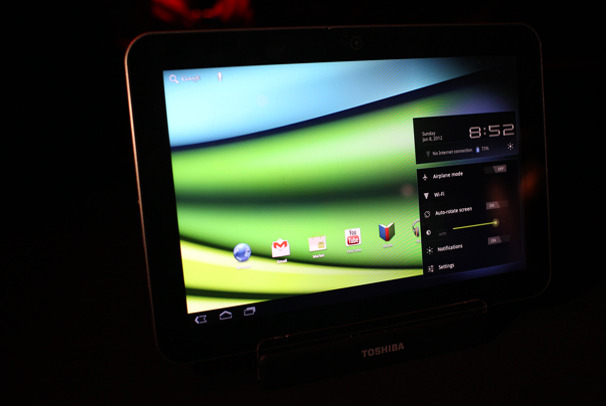 Toshiba hopes to be able to ship the tablet in mid-Q1 with Android 4.0 Ice Cream Sandwich. 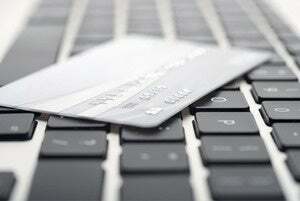 And when it ships, Toshiba says it will cost $530 for the 16GB model, and a comparably reasonable $600 for 32GB. Toshiba does virtually nothing to customize its Android load, preferring instead to provide an unvarnished Android experience. 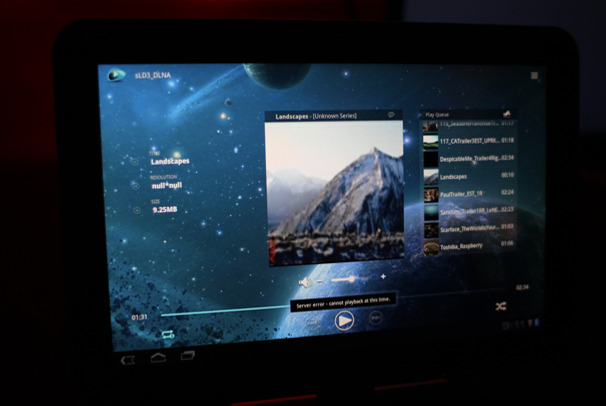 What the company does do is include some custom-made apps for the tablet. One, the Toshiba File Manager, is easy to use and makes good use of the tablet screen's real-estate. Another customized app: Toshiba's own Media Player. This app lacks some of the functionality of a dedicated music player like Google Music, for example, but it nonetheless looks to have a compelling and clear layout. You can send files from the app to another device on your DLNA network, and it is designed to play back music, video, pictures, podcasts, and downloads. Last but not least, Toshiba provides a custom remote control app for handling your home theater. Unlike other tablets, like the Motorola Droid XyBoard, the Excite X10 communicates with a television via Wi-Fi. In the box you'll get an IR blaster, so you can use Toshiba's remote control app with your cable box, for example. Right now, the remote control only works with Toshiba televisions, but that may change.